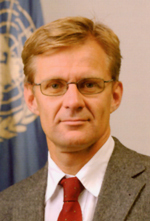 Mr. Jan Egeland of Norway was appointed the Under-Secretary-General for Humanitarian Affairs and Emergency Relief Coordinator in September 2003. 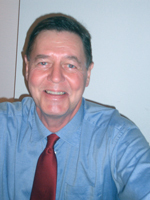 Mr. Egeland has gained 25 years of active experience in humanitarian, human rights and peace work through the UN, the Norwegian Government, the Red Cross and Red Crescent Movement and other non-governmental and academic institutions. From 1999 to 2002 he was Special Advisor for the UN Secretary General on Colombia. Earlier in his career, he served as State Secretary in the Norwegian Ministry of Foreign Affairs (1990 – 97). In that capacity, he initiated the two Norwegian Emergency Preparedness Systems, which have provided more than 2 000 experts and humanitarian workers to international organizations. He has been Head of Development Studies at the Henry Dunant Institute, Geneva and radio and television international news reporter, Norwegian Broadcasting Corporation and Secretary General of the Norvegian Red Cross. Mr Egeland holds a Magister Artium in Political Science, University of Oslo. He has been a Fulbright Scholar at the University of California, Berkeley and a fellow at the International Peace Research Institute, Oslo, and the Truman Institute for the Advancement for Peace, Jerusalem. Mr. Egeland has been Chair of Amnesty International, Norway, and Vice Chair of the International Executive Committee of Amnesty International. Mr Egeland has been an active participant in a number of peace processes. He co-initiated and co-organized the Norwegian Channel between Israel and the PLO in 1992, which led to the Oslo Accord (Declaration of Principles) of September 1993. He directed the Norwegian facilitation of the UN-led peace talks leading up to cease-fire agreement between Government of Guatemala and the URNG guerillas signed in Oslo in 1996. He also led the host delegation when the Ottawa treaty to ban land mines was successfully negotiated and adopted in Oslo in 1997. Sálvano Briceño was appointed the Director of the Secretariat of the International Strategy for Disaster Reduction (UN/ISDR) in June 2001. 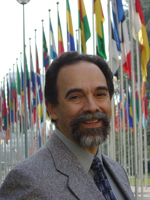 Earlier in his career, Mr. Briceño joined the World Conservation Union (IUCN) as the Executive Officer of IUCN's Commission on Education, where he focused on environmental education programmes and coordinated a worldwide network of experts (1985-1987). During the 1980s he worked as Research Associate at Harvard University's Energy and Environment Policy Center, following an active career with the Ministry of Environment and Renewable Natural Resources in Venezuela where he was Director General responsible for environmental education, professional development and international relations. Mr. Briceño received a Doctorate in Administrative Law from the University of Paris II (Panthéon-Sorbonne) in 1975 and a Master's in Public Administration from Harvard University in 1984. A Venezuelan national, his languages are Spanish, French and English. A graduate in political science from Brussels University and the Europe College in Bruges (Belgium), John Horekens started his international career with UNDP in 1972. After several programme assignments in the field (Senegal, Guinea-Bissau, Cape Verde, Laos), he joined UNHCR in 1980. From then to 2001, he held positions in operations in Djibouti, in fund raising at HQ in Geneva, then as UNHCR Representative in Sudan, and finally in a variety of directorial posts in Geneva, the last one as Director of Communication and Information. As Director for Europe, he coordinated the international conference on population movements in the CIS (1996), where he was also the Chairman of the Drafting Committee. Upon leaving the UN High Commissioner for Refugees, John joined the International Federation of Red Cross and Red Crescent Societies, where he was Director of External Relations, in 2002-03. John took up the job of Conference Coordinator at the secretariat of ISDR in May 2004, where he leads a small team of committed staff in the preparations for the World Conference on Disaster Reduction. John Horekens is a British and Belgian national; he lives in Switzerland, and is married, with three children. Mr. Nomura is a national of Japan, educated in Tokyo, with a degree in international relations, and a distinguished career in print journalism since 1967 with the Japanese newspaper Asahi Shimbun. 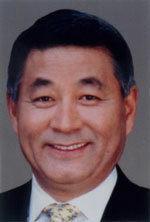 During his long career with Asahi Shimbun, he held a wide range of positions, both in Japan and in the United States. From 1968 to 1978, he was a reporter at the Sapporo bureau of Asahi then a political reporter covering mainly domestic politics. He was a Washington correspondent from 1979 to 1982, then back in Japan as a political reporter, deputy political editor and foreign news editor until 1991 when he became Chief of Asahi Shimbun’s Washington bureau. From 1994 to 1998, he was Deputy Chief of the newspaper’s editorial board, covering issues such as Japanese foreign policy, US-Japan relations and UN affairs. 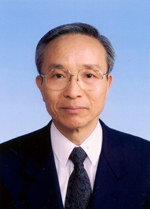 Mr. Nomura was most recently the Director of Asahi Shimbun’s Research Centre. In that capacity, he was involved in the overall management of the Centre, led research on journalism and conducted public opinion polls. Mr. Nomura has also lectured on journalism for university students. In 2003, he was appointed by the UN Secretary General as Director of the UN Information Centre in Tokyo, where he now serves. Dr Don Nanjira is a diplomat with over 30 years in the Foreign Service of Kenya. He has been posted in Washington DC, in Brussels, in New York, and was his country’s Ambassador in Rome and to the United Nations Office at Geneva (1992-95). In addition to bilateral diplomacy, he has focused during most of his career on multilateral issues, particularly with the UN System and the World Bank. Amongst others, he participated in the Yokohama conference on natural disaster reduction in 1994, as Chairman of the Preparatory Committee and Chairman of the Drafting Group. In 1985-88, he was Deputy Director then Officer-in-charge of the New York Liaison Office of the United Nations Disaster Relief Office (UNDRO). In that capacity, he was involved with the Caribbean Disaster Preparedness and Prevention Project (PCDPPP) based in St. John’s, Antigua and Barbuda. 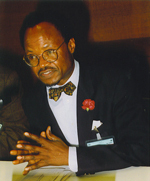 From 1995 to 2004, Dr Don Nanjira served as a senior official in the World Health Organization (WHO), in Geneva and New York and then as representative of the World Meteorological Organization (WMO) to the UN in New York. Throughout his career, Dr Don Nanjira has been closely involved with issues related to weather and climate, environment, sustainable development and risk management. 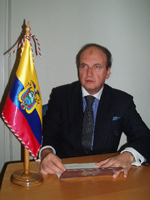 Ambassador Hernán Escudero Martínez was appointed Permanent Representative of Ecuador to the United Nations and other International Organizations in Geneva on March 2003. In addition to chairing the Bureau and the Preparatory Committee of the WCDR, he is the Chairman of the Executive Committee of the programme of United Nations High Commissioner for Refugees (UNHCR) . He is also Vice-president of the 61th session of the Committee of Human Rights on behalf of GRULAC (Latin America and Pacific Regional Group). Ambassador Escudero Martínez has been Vice Minister of Foreign Affaires of Ecuador, Ambassador of Ecuador to Peru and Deputy Permanent Representative at the United Nations in New York. He has held several senior posts in international organizations over the past two decades.